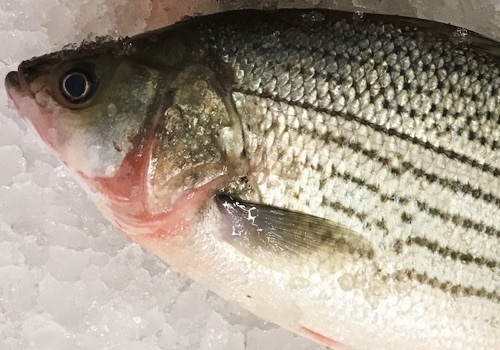 Striped bass can live in both salt and freshwater. 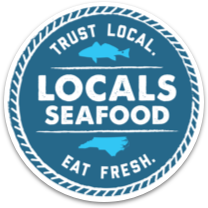 They spend most of their time in the sound and ocean, heading upstream to spawn. 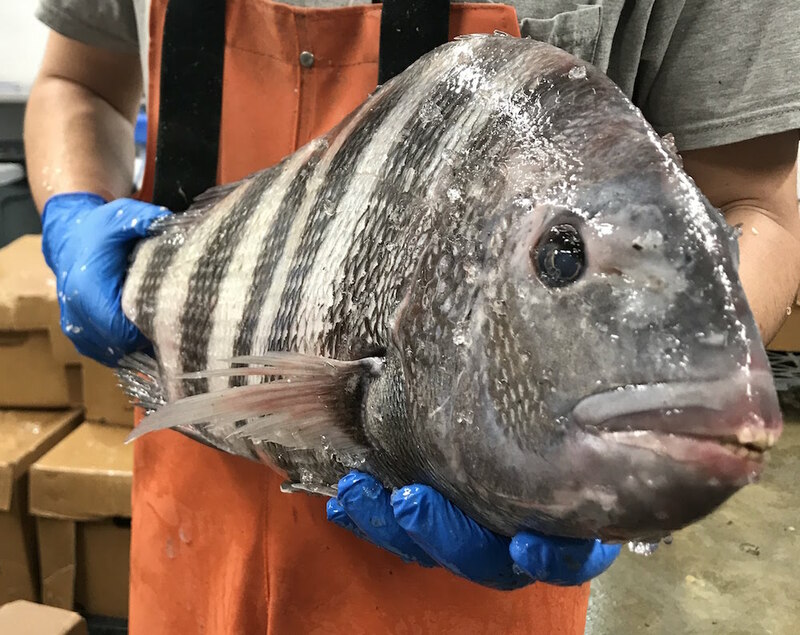 Striped bass have an excellent sweet flavor. 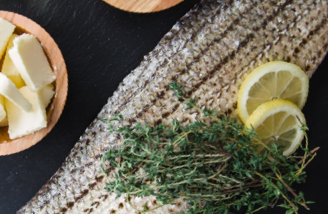 This fish is best prepared simply with oil, salt and pepper, and fresh herbs to taste. 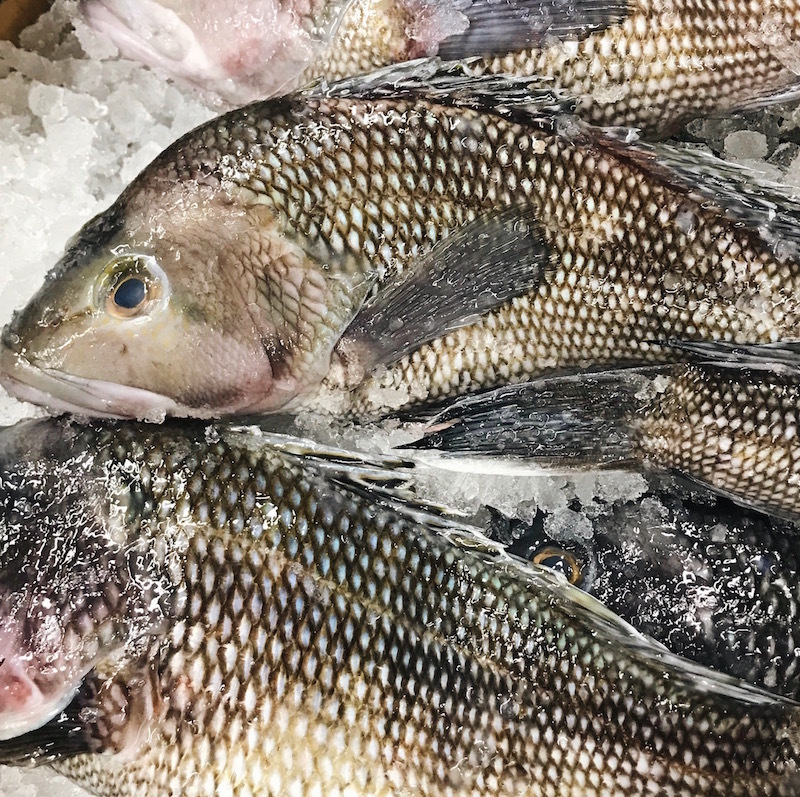 You can bake or grill the whole fish, or pan-sear fillets for a crispy skin. 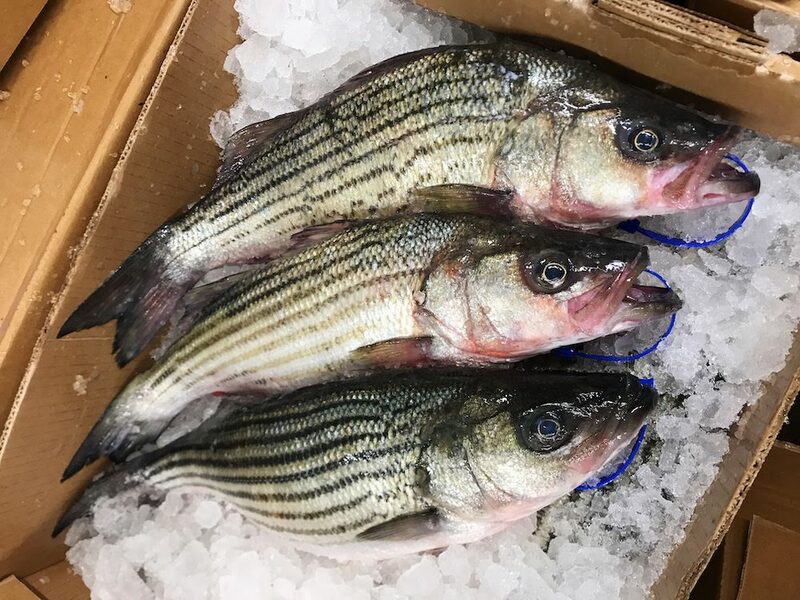 It’s hard to go wrong with striped bass.